They meet for the first time when she is in her front yard practicing baton-twirling. He has just walked off his job on a garbage truck. 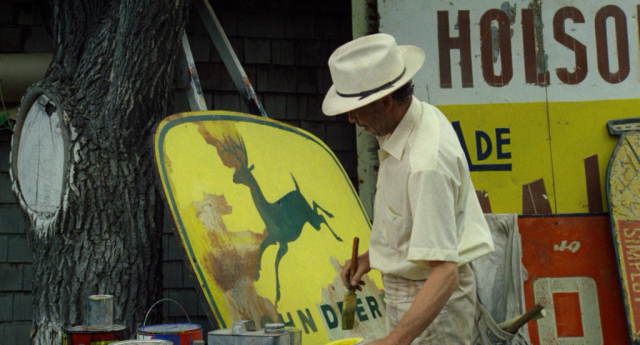 She thinks he is the handsomest man she’s ever seen — he looks just like James Dean. He likes her because he never knew a fifteen-year-old who knew so much: “She could talk like a grown-up woman, without a lot of giggles.” Within a few weeks, they will be the targets of a manhunt after he has shot down half a dozen victims. 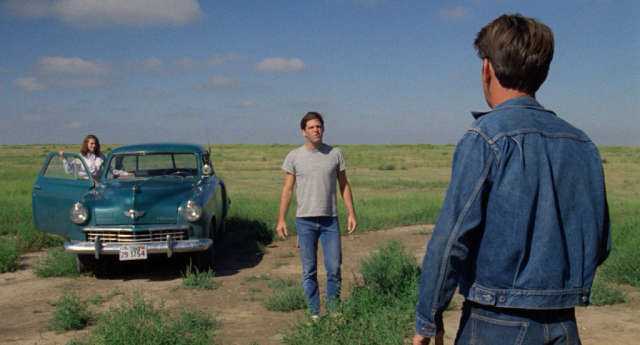 Terrence Malick’s “Badlands” calls them Kit and Holly, but his characters are inspired, of course, by Charles Starkweather and Caril Ann Fugate. They went on a wild ride in 1958 that ended with eleven people shot dead. The press named him the Mad Dog Killer, and Sunday supplement psychoanalysts said he killed because the kids at school kidded him about his bowlegs. Starkweather got the electric chair on June 25, 1959. From time to time a story appears about Caril Fugate’s appeals to her parole board. She was sentenced to life. Kit is played by Martin Sheen, in one of the great modern film performances. He looks like James Dean, does not have bowlegs, and plays the killer as a plain and simple soul who has somehow been terribly damaged by life (the real Starkweather, his father explained at the time, was never quite right after being hit between the eyes with a two-by-four). 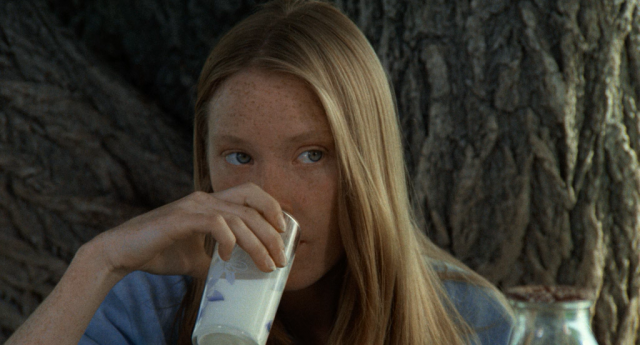 Holly is played by the freckle-faced redhead Sissy Spacek. She takes her schoolbooks along on the murder spree so as not to get behind. She is in love with Kit at first, but there is a stubborn logic in her makeup and she eventually realizes that Kit means trouble. “I made a resolution never again to take up with any hell-bent types,” she confides. After the first murder and their flight, they never have any extended conversations about anything, nor are they seen to make love, nor is their journey given any symbolic meaning. They hope to reach refuge in the “Far North,” where Kit might find employment as a mounted policeman. They follow their case in the newspapers, become aware of themselves as celebrities, and, in a brilliant scene at the end, the captured Kit hands out his comb, his lighter, and his ball-point pen as souvenirs to the National Guardsmen who had been chasing him. The movie is very reserved in its attitude toward the characters. It observes them, most of the time, dispassionately. They are strange people, as were their real-life models; they had no rationalizations like Dillinger’s regard for the poor or Bonnie and Clyde’s ability to idealize themselves romantically. They were just two dumb kids who got into a thing and didn’t have the sense to stop. 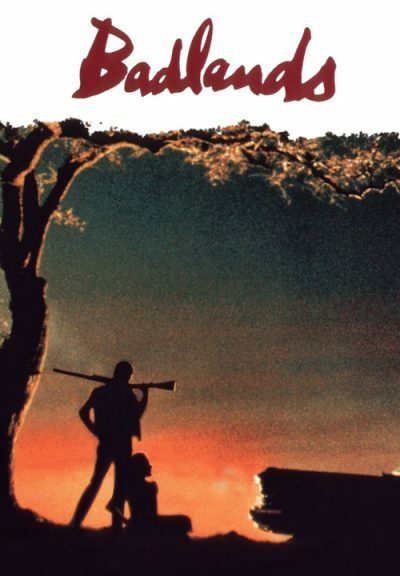 They’re something like the kids in Robert Altman’s “Thieves Like Us” and the married couple in “The Sugarland Express.” They are in over their heads, incapable of understanding murder as a crime rather than a convenience, inhabitants of lives so empty that even their sins cannot fill them.